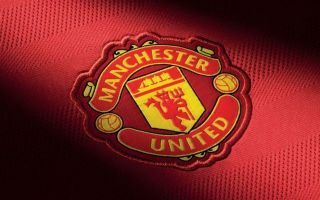 Man Utd will be busy this summer in bolstering their squad but there is some questionable speculation surfacing over key moves. Jose Mourinho has seen his side fall short in the Premier League title race this season, although they do still have hope of winning silverware with the FA Cup and Champions League still up for grabs. However, beyond this season, it appears as though they’ll need to strengthen further in order to compete with Man City and their rivals, and that could involve a massive change in the attacking third. El Gol Digital claim, as re-reported by The Daily Star, that Man Utd must sacrifice Anthony Martial if they wish to bring £178m-rated former superstar Cristiano Ronaldo back to Old Trafford. Despite facing intense criticism earlier this season, the Portuguese international has bounced back in a big way to show his class as he continues to produce at 33. With 31 goals in 33 games so far this season, he continues to deliver on the pitch, and there is no denying the impact he would make off it given his standing and profile. As a result, could it be a sensible move from United? Martial is a popular figure with supporters and so it’s questionable if they would back it given he’s also younger and has many more years left in him. Elsewhere, The Independent have interpreted a report of the Man Utd hierarchy backing Mourinho over his treatment of players as a direct warning to Paul Pogba. They claim that it’s an ultimatum for the French international, as any United star will be at risk of being sold if they don’t get in line with their coach. That will be music to the ears of Mourinho, while it remains to be seen if he does indeed have any issues moving forward with his biggest stars.